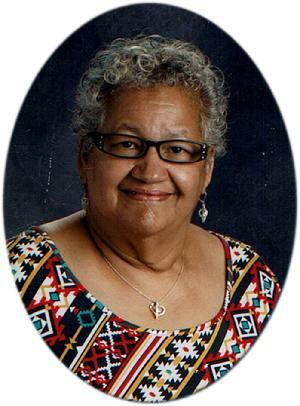 Varnville, South Carolina - Memorial Service for Ms. Alicia Campos, 74, of 457 Mill Pond will be held Saturday, February 2, 2019, 10:00 AM at Huspah Missionary Baptist Church, Hampton, South Carolina. Pastor John A. Porter, Pastor & Officiate. Ms. Alicia Campos died Wednesday, January 23, 2019 at Medical University of South Carolina (MUSC), Charleston, S.C. Born June 18, 1941 in Juana Diaz, Puerto Rico, she was a daughter of Jesus Campos and Maria Virgen-Ortiz. Ms. Campos attended Huspah Missionary Baptist Church, Hampton, South Carolina and was an employee of Hampton School District One. To cherish her memories: (1) Daughter, Melissa Tobin of Varnville, South Carolina; (2) Reared as daughters: Rita Madrid of Maryland and Rose Tobin of Greenville, South Carolina; (10) Grandchildren; (8) Great Grands; Other relatives and friends.